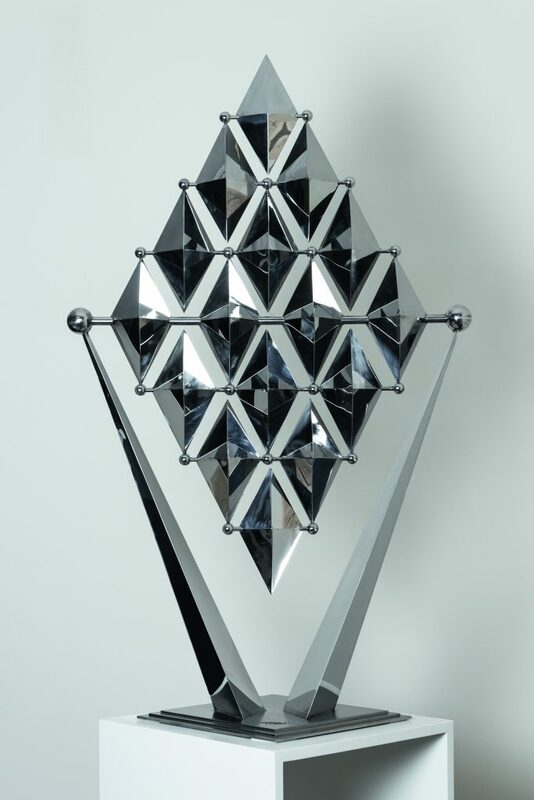 Ivan Black is an award-winning British sculptor, who puts motion at the centre of his work. His Nebula Hive is a 1mx 0.75m wide ‘luminous vortex of kinetic energy’ that slowly transforms into countless celestial forms, ‘captivating the observer with each twist and turn’. Black says he uses the power of mathematics and inspiration from naturally occurring shapes to create his masterpiece of light, art, and motion. The work contains more than 2,000 bespoke components, either handmade by Black or sourced from British craftspeople and artisans. Each component is machined from solid brass and then hand-polished and nickel-plated prior to assembly. Additionally, every LED is encapsulated in a clear, acrylic sphere. The piece can be connected to an app capable of controlling luminosity, speed, direction, and patterns of rotation with the swipe of a finger. Working since 1980, Ralfonso specializes in the design and execution of large-scale kinetic and light sculptures for public places from his studios in West Palm Beach, Florida, USA and Geneva, Switzerland. He is also the co-founder of the Kinetic Art Organization (KAO), which now boasts more than 1,000 members in more than 60 Countries around the world making it the largest kinetic art organization in the world. His kinetic sculpture, includes works in permanent collections around the world, while his large-scale pieces can be found in public, private and museum collections all over the world, from his native Switzerland to the Netherlands, Russia, China, Germany, Hong Kong, United Arab Emirates, France and the USA. George Rickey, who died in 2002 aged 95, is a still revered kinetic artist whose works are held in the collections of the National Gallery of Art in Washington DC, the Honolulu Museum of Art and the San Diego Museum of Art, amongst others. Rickey combined his love of engineering and mechanics by designing sculptures whose metal parts moved in response to the slightest air currents. 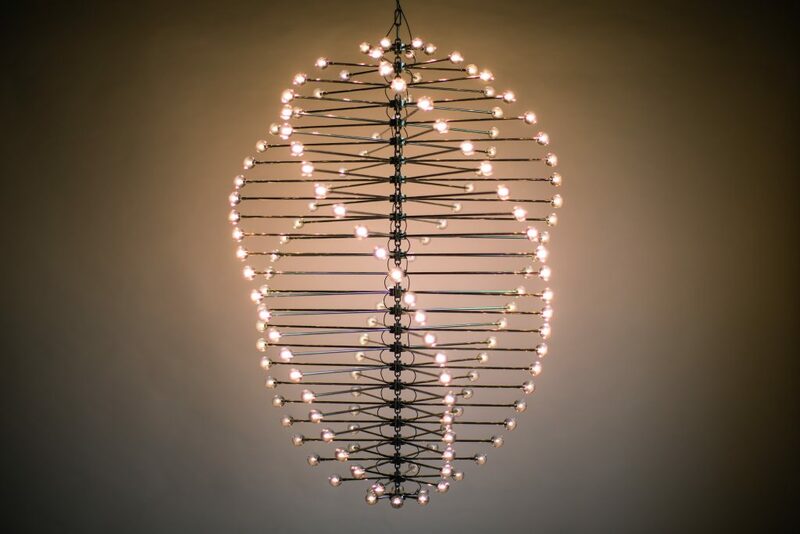 To see some of the best examples of kinetic art head to the International Kinetic Art Exhibit and Symposium that runs from February 1-3, 2019. This free biennial event in Boynton Beach, Florida will include work ranging from optical illusions to mechanical movement.